Suzanne symmetrized twice in different directions, then subsurf’d to demonstrate that the geometry remains connected. 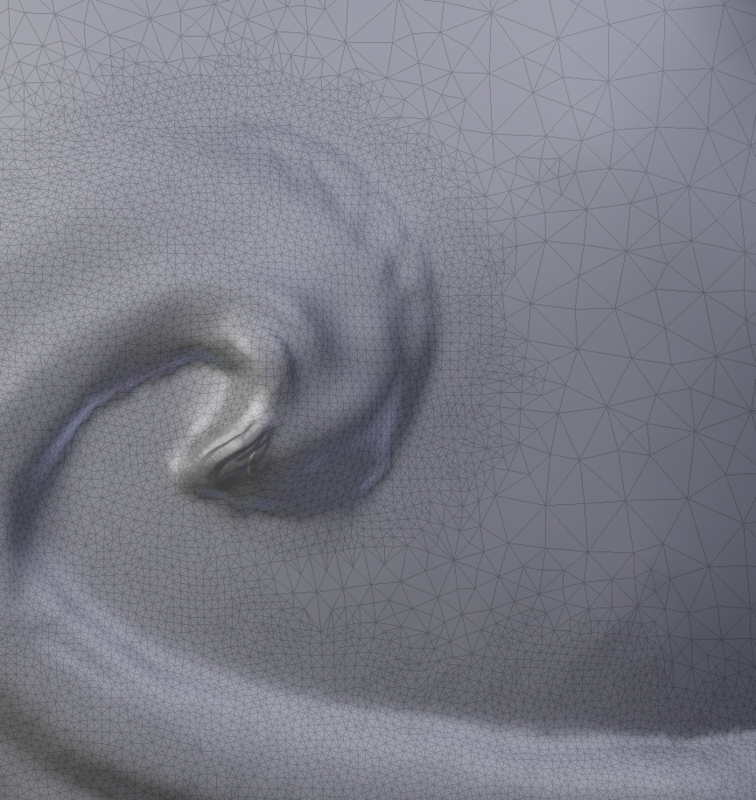 Fixed cracks appearing along the axis of some meshes. Fixed crash when operator is run from sculpt mode. Axis and direction are now selectable when running the operator. General code cleanups, main symmetrize code is now in blenkernel. Note that this is still Mesh-only (not BMesh), so doesn’t work for dynamic topology sculpting or edit mode yet. Since the dawn of time (i.e. 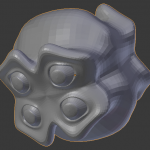 since SharpConstruct) sculpt symmetry essentially works as though multiple brushes are operating on the mesh simultaneously. This is not necessarily the most efficient method, but it is easy to implement and is generally fairly robust. It is even serviceable with dynamic topology, which is somewhat surprising considering that no attempt is made to keep the topology symmetric. That said, imperfections do begin to pop up with dynamic topology, so a workaround would be nice. Naturally the first thing I had to do was go all Photo Booth on Suzanne. I’ve just gotten a basic implementation working, code available as usual from my Blender Github repository, symmetrize branch. To test it, just select a mesh and spacebar-search for the symmetrize operator. Only works in object mode for now. Once the algorithm is solid for meshes I’ll add a BMesh version. Note that right now it’s hardcoded to symmetrize across the YZ plane from X- to X+. A mesh consisting of a hexagon, pentagon, and three quads being symmetrized. Any polygon that is already symmetric across the axis will end up just as it started. The pentagon and square demonstrate this. In general, a polygon that is not symmetric across the axis gets chopped in half — everything on one side of the axis gets thrown away, and the rest is copied over and mirrored. The hexagon at left demonstrates this. An exception is made for asymmetric polygons that have some symmetric edges. For example, the two quads adjacent to the square do not get split down the middle, as that would require the nice square to become a hexagon. 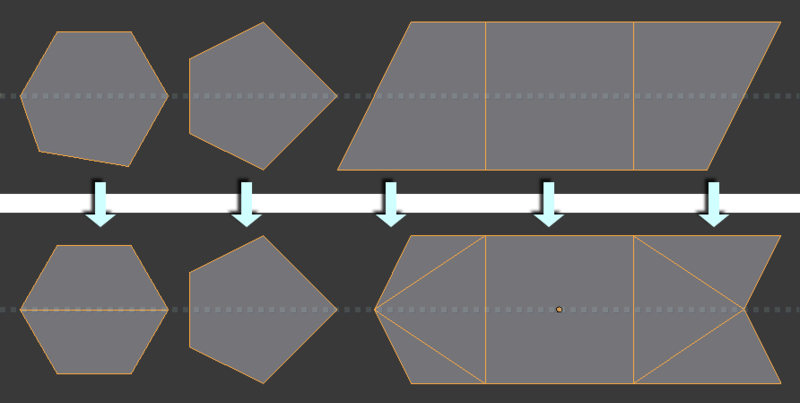 Instead, a triangle is added to separate the asymmetric polygon from the symmetric one, and then a mirrored copy is added. There are actually more cases — I’m still working on dealing with polygons that cross the axis multiple times. Loose edges should also be mirrored. It may be helpful to add additional cleanups too, such as optional merging of thin polygons that are sometimes generated near the axis. 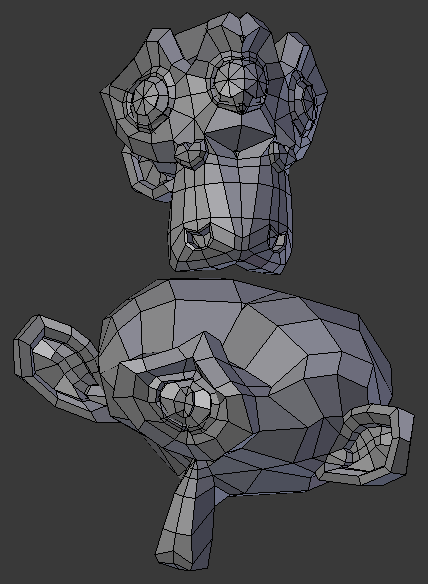 As noted, this is just a regular mesh operator for now, not yet part of the dynamic topology branch. 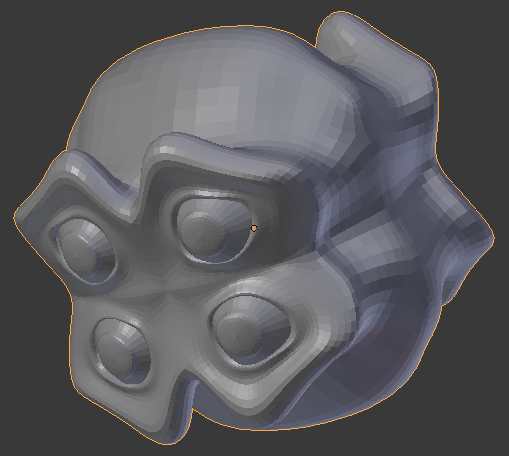 I’ll merge it in once the tool is nicely stabilized, but I should mention that I don’t currently have a lot of time to work on Blender. I’m continuing to work on the BMesh logging system that will provide undo/redo for dynamic-topology sculpting. One aspect of this logging system is assigning unique IDs to elements. In order to do this efficiently, I wrote a small C++ library to efficiently store and query non-overlapping ranges. This code is now used in the bmesh-undo branch to keep track of unused IDs. Since the code is fairly generic and might be useful elsewhere, I’ve pushed the RangeTree code into its own repository on Github. 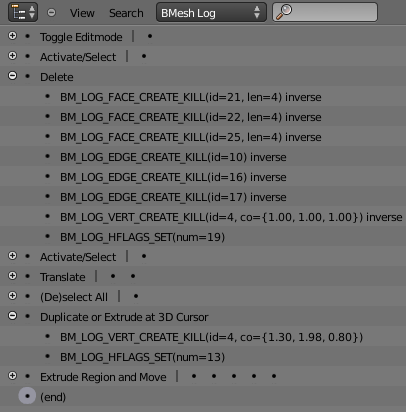 Back on the dynamic topology side, I am continuing to make updates to integrate the BMesh logging system with sculpt’s undo system. It is starting to work a bit, but still lots of glitches and crashes to deal with yet. I’m hoping that by improving the testing tools in the bmesh-undo branch I can work out a lot of these issues separately from dynamic-topology sculpting.